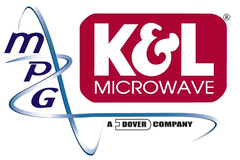 K&L Microwave - RFMW UK, Ltd.
K&L Microwave designs and manufactures RF and microwave filters & Duplexers, including ceramic, lumped element, cavity, waveguide and tunable filters. K&L was formed in 1971 with the aim of developing and manufacturing filters and filter based products. They were aquired by Dover Corporation in 1983 and are now an integral part of the Microwave Products Group (MPG) Division of Dover. As part of MPG they work alongside BSC Filters, PoleZero and Dowkey and complement each others capabilities in a synergistic manner. 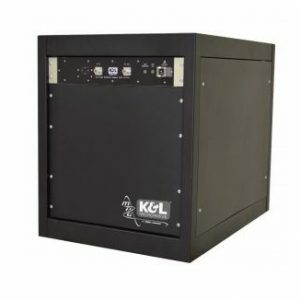 K&L Microwave design and manufacture a comprehensive range of UHF / VHF through to microwave and millimetre wave filters, diplexers and integrated (filter based) subsystems. They have an extensive design library of components and use many different filter structures including ceramic, lumped element, cavity, waveguide and tunable filters (with either mechanical or electronic control). K&L are based in Maryland USA and they also share a Dover facility in the Dominican Republic for high volume commercial product. Certified to ISO 9100 and are ISO 14001:2004 registered, K&L wrote and continue to develop the industry leading “Filter Wizard” design software. K&L has three facilities in Salisbury, Maryland, with a total of 170,000 square feet. K&L has been a pioneer in vertical integration in the filter industry, enabling faster response times. Capital investment includes over 125 network analyzers; an on-site calibration lab; advanced circuit design and electromagnetic analysis software packages; laserwelding and laser-labeling devices; a custom designed plating and wastewater closed-loop operation; a fully equipped machine shop with computer-numerically controlled (CNC) vertical mills, horizontal mills, and lathes; power-testing equipment; and a test laboratory featuring thermal shock chambers and specialized measurement equipment for vibration, leak, humidity, salt-fog, and a variety of other environmental requirements. K&L streamlines production by teaming with customers to implement lean manufacturing and maintains a Dominican Republic facility for high-volume, commercial throughput. K&L Microwave’s Salisbury operation has a registered secret clearance.